University of Nottingham > Blogs > Faculty of Science Activities Blog > Uncategorized > How will Nottingham change in the next 40 years? How will Nottingham change in the next 40 years? On Wednesday I hosted a visit from 10 future leaders from Nottingham City Council under their New Horizons Programme. 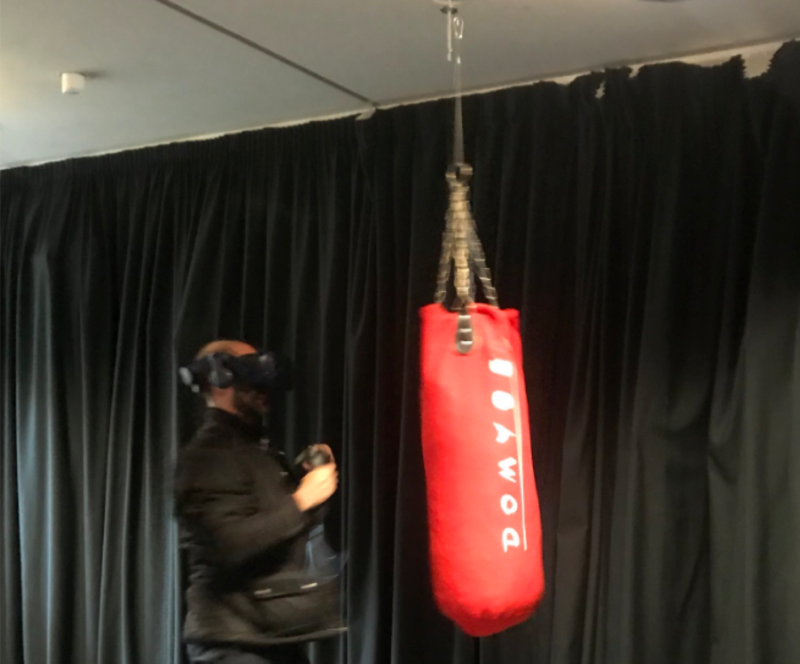 We had an excellent visit to Computer Sciences to see demonstrations on VR and a stimulating discussion on how VR could be used to enhance tourism in the City (thanks to Paul Tennent for hosting). Then we had a presentation from the Head of the Ingenuity Lab, Steve Chapman about the plans to broaden the Ingenuity 19 competition to entries across the City. We had a fascinating discussion with the visitors about how Nottingham will change in the future. Nottingham has enjoyed success as a regional retail centre but with much spend going online there is a need to consider what sustains a City centre. Improving the offer to tourists, enhancing the cultural offering and making the most of our historical buildings were seen as key aspects for the future. There was concern about a widening gap between poorer parts of the City and affluent areas. The University was seen as having a key role to play in helping Nottingham compete for future business and improving lives across our city. Faculty Pro Vice Chancellors get involved in a lot of decisions and I thought it would be interesting for staff and students to see how our role works. Each week I’ll update on what’s been happening in the hope that this will improve transparency and communication with the Uni community.